EURUSD is under pressure due to Fed’s decision regarding interest rates. The support rests at 1.13810 with resistance at 1.14440 which both lines are above the weekly pivot point at 1.13390. The EMA of 10 is moving with bullish bias in the ascendant channel and it is above the EMA of 200 and the EMA of 100. 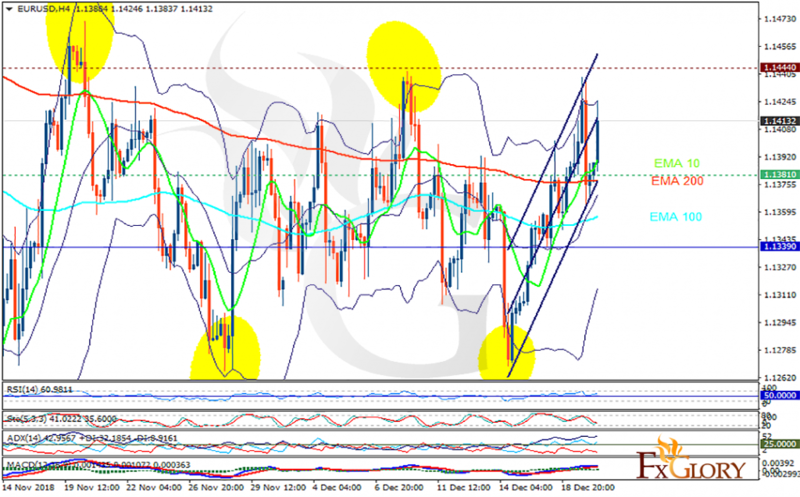 The RSI is rising towards the overbought area and the Stochastic is moving in low ranges. The MACD line is above the signal line in the positive territory. The ADX is showing buy signal. The price has reached the upper Bollinger band however the resistance line seems to be too strong to be broken. The correction pattern may start soon targeting 1.135.